Sagan Tosu, whose strong defence formed the basis for a fifth-place finish in their debut J1 season last year, were left holding on to win a nine-goal thriller at home to Kawasaki Frontale on Saturday despite having led by four early in the second half. Kei Ikeda netted with Tosu’s first shot on goal to leave the hosts 1-0 up at the break, but their advantage was quadrupled within nine minutes of the restart after an explosive opening to the second half. Kim Min-Woo broke down the left flank and beat two Kawasaki players before dispatching the ball across goalkeeper Yohei Nishibe for the second, but the Korean’s superb solo effort was surpassed barely seconds later when Kota Mizunuma ran onto a poor headed clearance from Hiroki Ito and smashed the ball into the net from fully 30 yards. With the Frontale defence in tatters, Yoshiki Takahashi then played the ball over the top for Yohei Toyoda to make the score 4-0. A rifled shot from Yoshito Okubo that bounced in off the crossbar had the air of a mere consolation for the visitors, but Yu Kobayashi scored with a diving header to reduce the deficit to two with 20 minutes remaining. Toyoda headed his second to make the score 5-2, only for Kobayashi to roll the ball across goal to leave an easy finish for Renato, who then turned provider as his cross was headed home by fellow Brazilian forward Patrick with three minutes left on the clock. However, the men from Kyushu fought off the Kawasaki onslaught through stoppage time to emerge as relieved 5-4 victors. It was a good weekend for teams in pink and blue, as Cerezo Osaka beat FC Tokyo 1-0 to record three straight victories from the start of the season for the first time since 1998. With both teams entering the game on perfect records from their first two matches, it was the visitors to Nagai who began the strongest and thought they had opened the scoring through Lucas, only for the ‘goal’ to be ruled out for a Keigo Higashi handball. The one that did count arrived at the same end but for the home side two minutes into the second half. 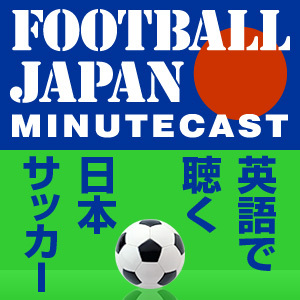 Yusuke Maruhashi made an immediate impact after coming off the bench by breaking down the left and rolling the ball across for 18-year-old Takumi Minamino, who played in Hotaru Yamaguchi to score at the far post. An offside flag then cut short FC Tokyo celebrations for a second time, again with Higashi the culprit, while substitute Tadanari Lee saw a shot cleared off the line by Kota Fujimoto. Cerezo are second in now the table behind Yokohama F Marinos, who made it three out of three themselves with a 2-1 victory at home to Jubilo Iwata. Having been put onto the back foot early in the game, the league leaders fought their way ahead after 45 minutes through Yuzo Kurihara only to see Hiroki Yamada level for Iwata with a first-time, left-footed shot from inside the D in first-half stoppage time. But Shingo Hyodo was left free to net the winner on the hour after Yuzo Kobayashi’s cross had evaded veteran Jubilo goalkeeper Yoshikatsu Kawaguchi. Jung Woo Young later saw red for the visitors. Urawa Reds had sloppy defending to blame for their first dropped points of the season as they gifted two goals to Oita Trinita within the first five minutes, but were at least able to fight back for a 2-2 draw through Genki Haraguchi and Yuki Abe strikes later in the first half. Elsewhere, Vegalta Sendai beat fellow AFC Champions League competitors Kashiwa Reysol 2-1 at home to finally record their first three points of the season. The visitors registered three times as many shots on goal but only had one expertly volleyed equaliser by Leandro Domingues to show for their efforts, and Sendai made them pay when Naoki Sugai flicked the ball over Ryosuke Yamanaka and back across for Wilson to nod in the winner. A last-minute leveller by Kim Kun-Hoan gave Albirex Niigata their first point in a 1-1 draw at Omiya Ardija. Shonan Bellmare drew 1-1 with Shimizu S-Pulse, Nagoya Grampus won 1-0 at Ventforet Kofu, while Sanfrecce Hiroshima played out a 0-0 draw with Kashima Antlers in the one Sunday fixture. Vissel Kobe kept up their 100% record with a 1-0 victory over fellow relegated side Consadole Sapporo. Their closest rivals are now Gainare Tottori with seven points from three games following their 3-1 win over Mito HollyHock, but Gamba Osaka slipped to fifth after a dismal 0-0 draw at home to Yokohama FC.